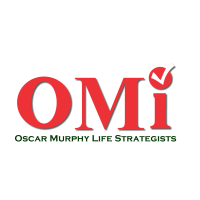 Uncover Communication Patterns and its Consequences in Your Relationships through Assessments, Interpretation and Reflection, presented by OMI (Oscar Murphy Life Strategists) and Powered by The Assessment World. Why is it often difficult to convey exactly what you mean? Why do you find yourself misunderstood at times? Good communication is a term that is often thrown around but hardly ever understood. Be it the workplace, school or family, it's most often the small changes in tone, the wrong word used, or sometimes just an over eagerness to offer advice that leads to conflicts, dissatisfaction and disagreement. Its not only what you say but how you say it which is at the core of a successful transaction. 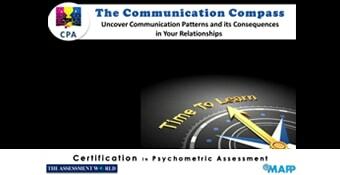 Communication Pattern Analysis is a psychometric tool based on the transactional analysis developed by Eric Berne. It is used to improve communication by understanding how one has developed communication skills. It gives insight into how we relate and communicate with others and to acknowledge how each one of us differ in our ways of communication. 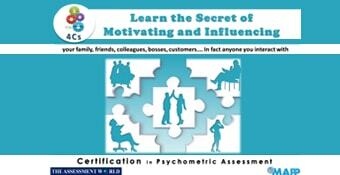 Analysing communication patterns of others helps you to flex yourself accordingly, thereby avoiding communication gaps. As a parent, teacher, student, mentor, counsellor or any other professional, using CPA will allow you to understand what others expect from you and which method you should adopt to influence them. It helps you to create a platform where decisions are taken on mutual understanding. This ultimately leads to healthy relationships with others by avoiding conflicts. CPA - Communication Pattern Analysis based on Dr Eric Berne's Transactional Analysis - assesses the impact of upbringing and the environmental factors that give rise to Communication Habits of people. CPA will tell you if your communication pattern is the right one for the situation at hand. It helps you utilize your communication skills to develop interpersonal relationships, teamwork and build rapport. The 4 factors CRITICIZING, ADVISING, EMPATHIZING & SEARCHING are patterns that fit into 'THEORY X or THEORY Y of Douglas McGregor as well. 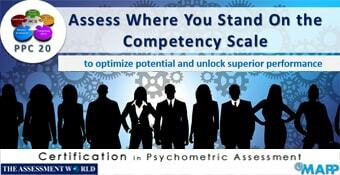 Psychometric Assessments helped me personally by providing valuable insights on the overall personality & attitudes, how the same are experienced by others, what may be the areas including my over-strengths, that could be posing a challenge in effective inter-personal equations with people or in achieving success in the desired spheres.